When writing a research paper or an article that contains references to GIS data, maps, or other geospatial material, it’s important to include a proper citation crediting the author of the GIS work. Citations vary depending on if the map is a single piece of work, part of a map series, an atlas, or a map that is part of a book or a journal article. There are even specific citations if the map was created using GIS software or you are citing GIS data. There are varying citation guidelines for static web maps versus dynamic online mapping applications. For each map, first consult the original work in order to extract the necessary information. Scan the map for the necessary information. If some of the needed citation information is not listed directly on the map, access any available background information. If the map is found within a book, article, or atlas, look for any figures or footnotes that provide additional detail. If the map is accessed from a web page, check for any background information on the source web site. Make sure you carefully note within your citation any missing information. Always check the map first for source information about the map’s author (1), title (2), scale (3), and publication location and publisher (4). For all printed cartographic work, you will need to know the following: the author of the map, the title of the map, format in brackets (e.g. map, software, GIS data) the edition of the map (if available), the scale of the map, place of publication, the publishers, and the date. Printed map references should be cited in the following order: Author. Title. [Format] Edition (if known). Scale. Place of publication: Publisher, Date. Example: Sally James , Urban Forestry Management Plan for Gilford [Map]. 1:12,000. London, England: Map Publishers, 2010. For a map found within a book, additional information about the book itself is appended to the citation. In parentheses after the map title, the format (usually map) is also added. Map Author . Map title [format]. Scale. Place of publication: Publisher, Date. In: Book Author. Book title. Edition. Place of Publication: Publisher, Date, page. Example: Sally James , Urban Forestry Management Plan for Gilford [map]. [1:12,000]. In: Maps About Gilford. London, England: Map Publisher, 2010. Since many online sources have a tendency to be updated, when citing online map and GIS data sources, it’s important to list the URL and the date of the citation itself along with the actual publication date of the map. Many guidelines also suggest listing the data sources between the map citation and the software citation (not shown in this example). Dempsey, Caitlin. Cartogram map of the distribution of billionaires based on citizenship [map]. Scale Not Given. “Geography of Billionaires: Mapping Nationalities and Residency.” March 2012. https://gislounge.com/geography-of-billionaires-mapping-nationalities-and-residency/. (September 24, 2012). Author. “Map title” [format]. Scale. Edition. Place of production: Producer, Date of copyright or production. Using: Computer software title [format]. Edition. Place of production: Producer, Date of copyright or production. Dempsey, Caitlin. Cartogram map of the distribution of billionaires based on citizenship [map]. Scale Not Given. “Geography of Billionaires: Mapping Nationalities and Residency.” March 2012. https://gislounge.com/geography-of-billionaires-mapping-nationalities-and-residency/. (September 24, 2012). Using: ArcGIS [GIS software]. Version 10.0. Redlands, CA: Environmental Systems Research Institute, Inc., 2010. Beyer, H. L. 2004. 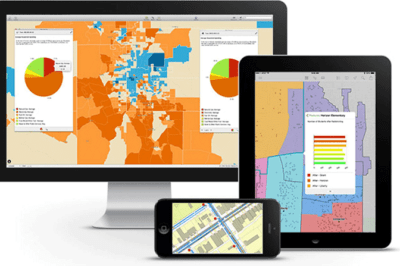 Hawth’s Analysis Tools for ArcGIS. 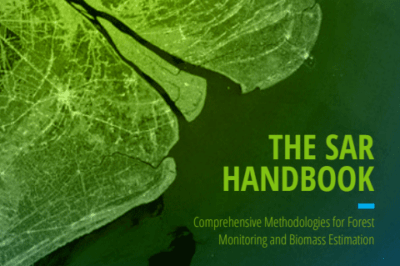 Available at http://www.spatialecology.com/htools. 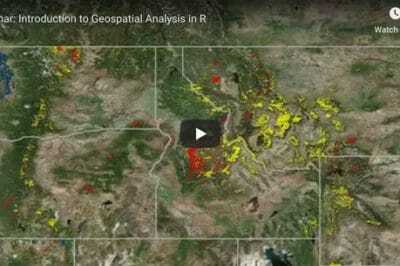 There are several online resources that provide detailed examples of each instance of how maps, GIS data, and GIS software should be cited, depending on the originating publication of the work. The Arthur H. Robinson Map Library of the University of Wisconsin-Madison has a detailed list of map, GIS data, and GIS software citation instancesand how to cite those references, complete with example citations. Alberta Auringer Wood a member of the Bibliographic Control Committee of the Association of Canadian Map Libraries and Archives (ACMLA) has also compiled a similar list of “ACLMA Recommended Best Practices in Citation of Cartographic Materials” (PDF format). QGIS Development Team, <YEAR>. QGIS Geographic Information System. Open Source Geospatial Foundation Project. 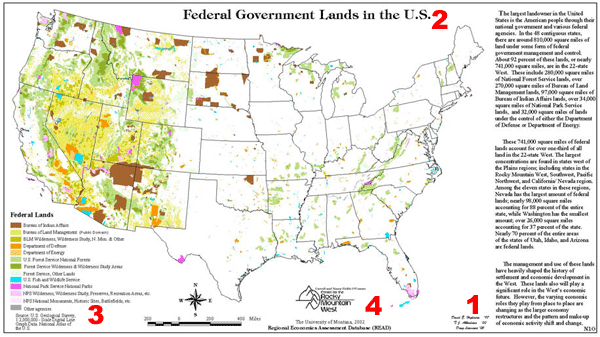 http://qgis.osgeo.org. GRASS Development Team, 2012. Geographic Resources Analysis Support System (GRASS) Software, Version 6.4.1. Open Source Geospatial Foundation. http://grass.osgeo.org.